Branded content and video marketing from FCPWORKS help you communicate complex concepts visually and deliver an emotional appeal. In addition to traditional video, we also develop 360º, virtual reality, and augmented reality experiences. Our team of experts works directly with you to craft your message for maximum impact. Brief: communicate the environmental and economic benefits of a ground-breaking ecological material and its uses across a variety of applications including sports, automotive design, medicine, and more. Brief: convey the strengths of a complex new data center cooling technology and its potential for scientific, regulatory, and cryptocurrency uses. •End to End production using cutting-edge 4K and above digital workflows. •Custom 3D and 2D animation. •Post-production optimized for maximum client input and review. Our clients include: Apple, Panasonic, Sony, the U.S. Army, United Nations, and IAEA. FCPWORKS is an integrator and marketing consultancy focusing on Apple and Final Cut Pro X based professional video solutions. 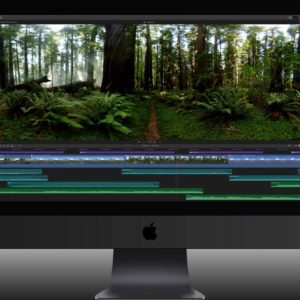 FCPWORKS’ understanding and experience with cutting-edge 4K and beyond workflows with Final Cut is unique in the post-production world. Subscribe to our mailing list to receive the latest news, special package prices on workstations, Final Cut Pro X tips and workflows, and event updates from FCPWORKS.